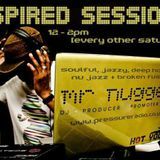 To Change Is A Choice - DJ Mista Nugget - Feb 2018 DEEP, AFRO HOUSE MIX Extravaganza!!! 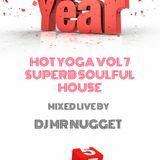 Mr Nugget Hot Yoga Music Vol 7 - Happy New 2015 May The Force Be With You. 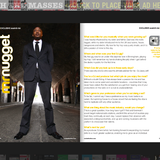 Mista Nugget hails from Birmingham, and now resides in London. His long pedigree includes a very varied music career. Starting out as a Hip Hop DJ, and progressing to an MC, producer, events promoter and a radio presenter, he has been referred to among his peers as the ‘renaissance man’. 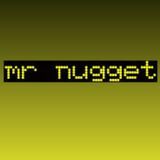 Mista Nugget revived his DJ career in 2003, and successfully secured guest slots at top clubs across the UK and Asia, playing alongside world premier House and Hip Hop DJs, promoting his ‘Hot Yoga Music’ brand. He can also be found gracing the decks at celebrity event parties. In 2008 he ventured into production, scoring major success with his first track “Free” featuring Brooke Bailey. 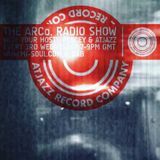 He has since released further tracks with Timmy Vegas, Natasha Watts, Pete Simpson and Amadar which have earned him respect from his peers in the House music industry.